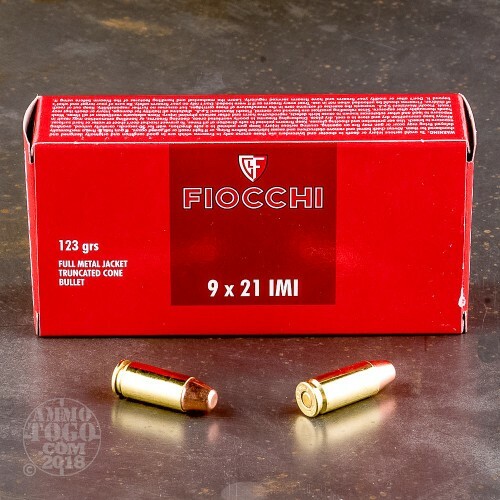 This 9x21mm cartridge by Fiocchi features a 123 grain projectile. 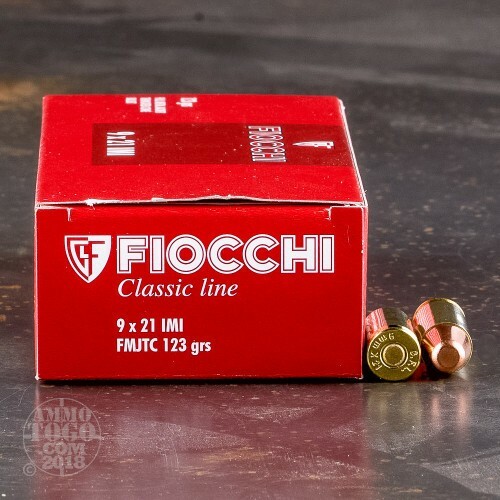 The bullet dons a full metal jacket, just what a bullet ought to have if it’s going to prevent rapid bore fouling, penetrate plinking targets reliably, and feed smoothly in a semi-automatic pistol. This bullet makes feeding an even more certain prospect thanks to its truncated cone profile. The bullet’s semi-conic shape also makes it slightly more aerodynamic, giving it a boost to its accuracy, and its circular meplat will punch a clean hole through a paper target much like a wadcutter’s would. If you’re training or competing, this round will accommodate your plans squarely. Fiocchi makes great components to complement their great bullets’ performance. 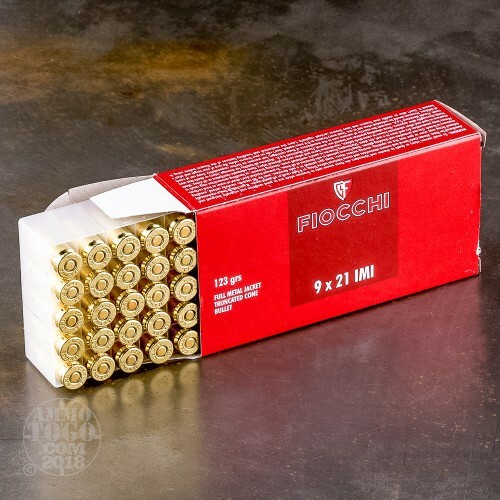 This round’s primer is non-corrosive and its propellant burns clean -- together they’ll make certain that you can shoot at the shooting range instead of cleaning your weapon there. 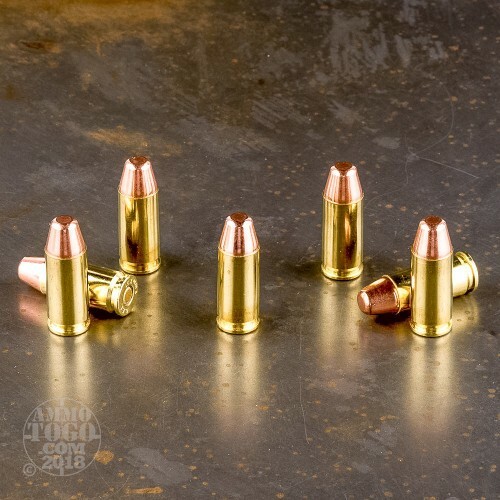 This round’s casing is brand new and made of brass, so it’ll also give you the medium handloaders seek after most.